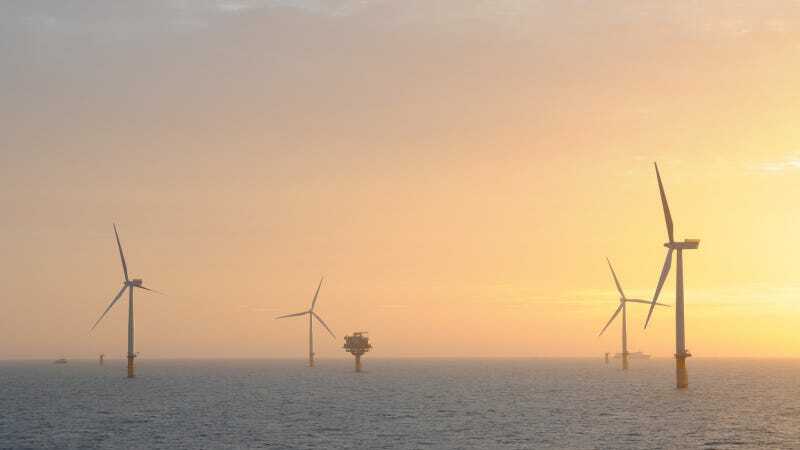 Statoil’s executive vice president for new energy solutions, Irene Rummelhoff, said: “Floating wind represents a new, significant, and increasingly competitive renewable energy source. Statoil’s objective with developing this pilot park is to demonstrate a commercial, utility-scale floating wind solution, to further increase the global market potential. Floating turbines make wind energy possible in places where deep seas render bottom-mounted wind turbines impractical, as industry expert Maurice Jenkens told edie.net. And the technology of floating turbines isn’t that different from traditional wind farms — they are basically standard turbines that are mounted to a platform and dragged out to sea. Floating wind farms have several advantages over traditional wind farms: Moving them out of sight addresses the common complaint that wind turbines are ugly, and the wind is stronger farther offshore anyway. They are also, however, really, really expensive — even more expensive than shallow-water wind farms, which is why we probably won’t see them off the coast of the U.S. any time soon. While the Energy Technologies Institute reported that floating wind farms could be a cost-effective form of renewable energy in the U.K. in the next decade, construction on the first traditional offshore wind farm in the United States just began in July. Here’s hoping. In the meantime, construction on Hywind is set to begin next year.